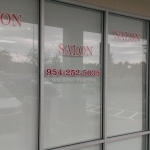 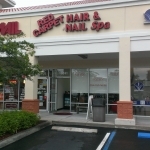 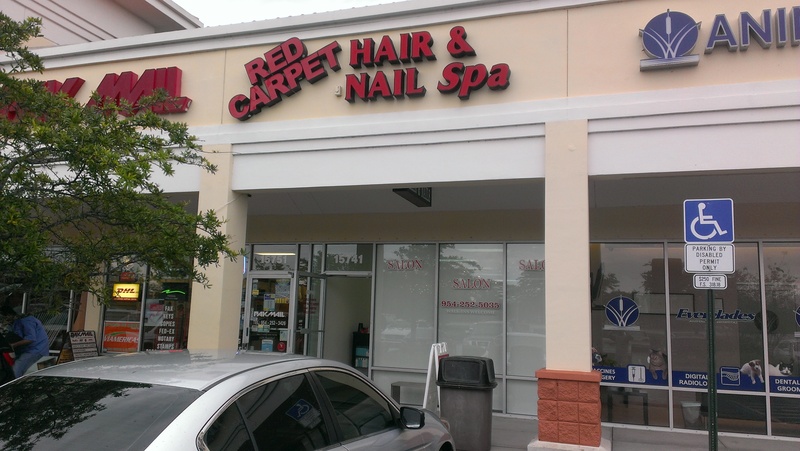 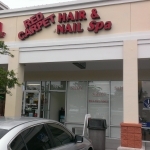 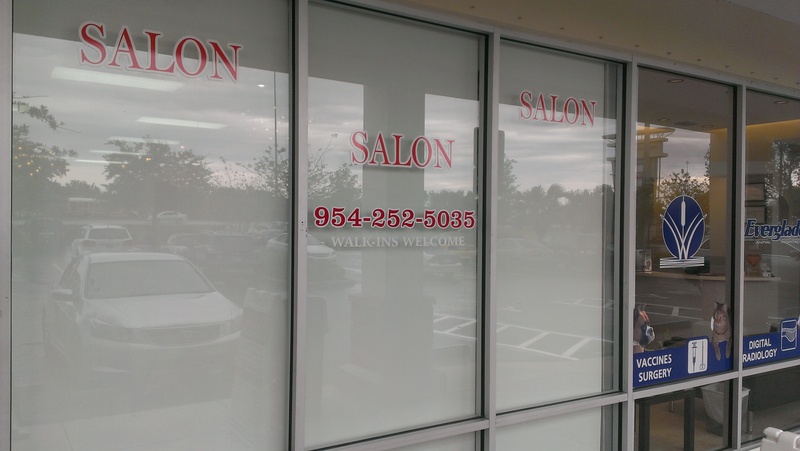 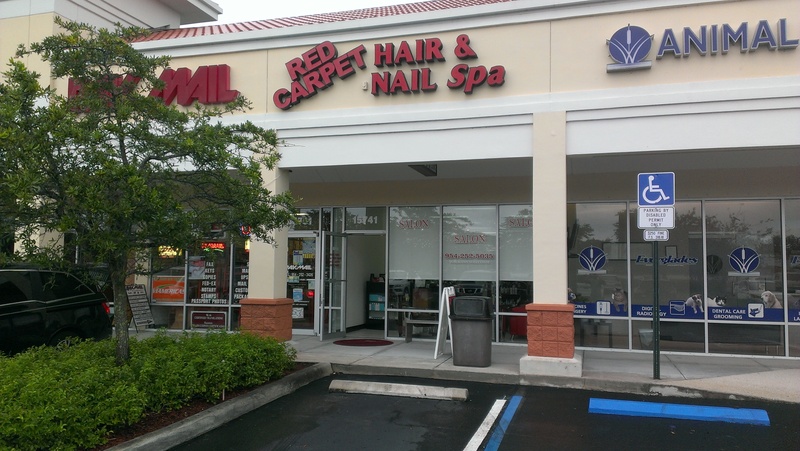 Our most recent installation was for the popular Red Carpet Hair and Nail Spa located in Pembroke Pines. 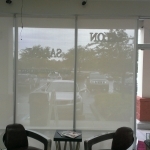 They wanted a white fabric that would help block out the hot sun and keep the salon cool during the day. 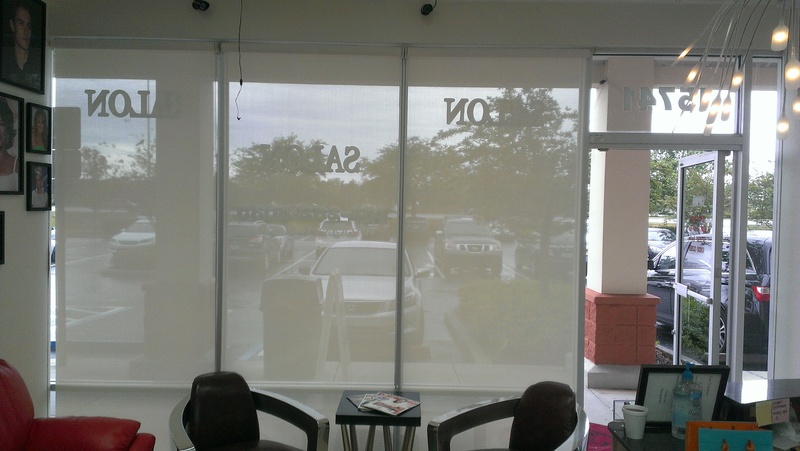 From the large selection of colors we manufacture in-house the owner selected a 10% white fabric that allows a certain amount of privacy for when people look in, but allows full visibility when looking out from the inside. 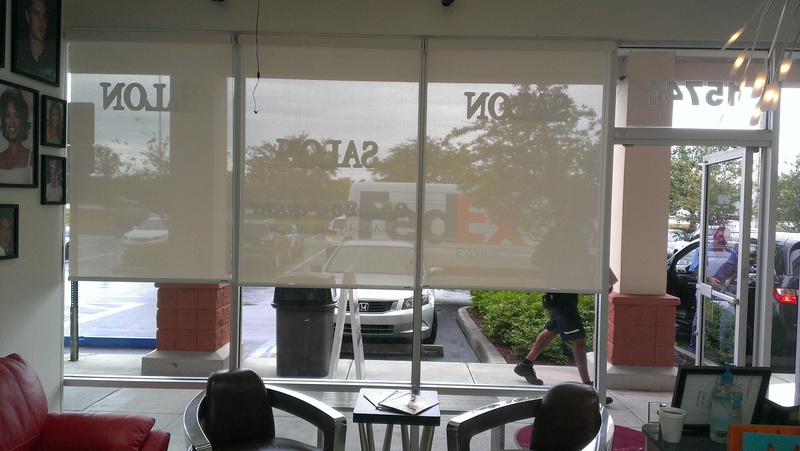 As you can see from the pictures below the measurements, manufacturing, and installation of the roller shades came out beautifully. 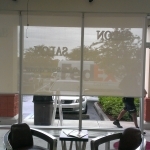 If you are a business owner who would like blinds or shades for your office please contact us today for a free estimate.